Eclipse is a wall-mounted mirror lamp by Atelier JM that adjusts to mimic the astronomical event that inspired its name. At last month’s Stockholm Furniture & Lighting Fair, Chinese design studio Atelier JM revealed a new design at Greenhouse. 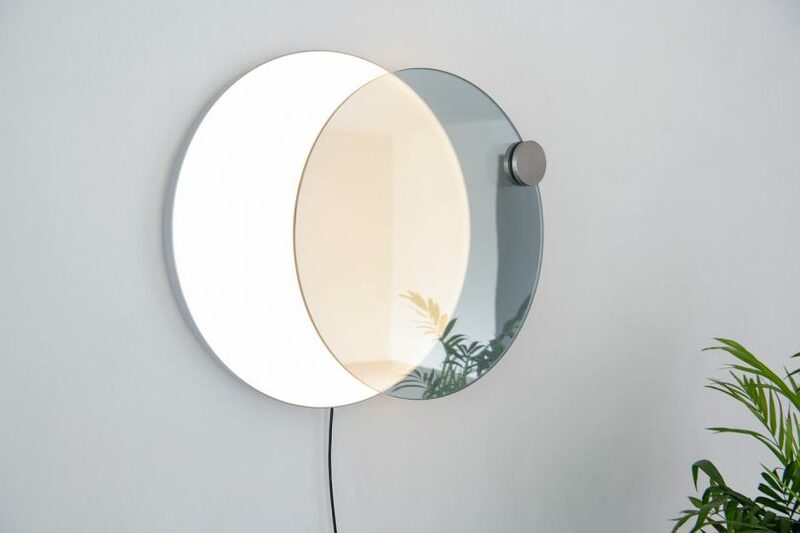 Eclipse is a wall-mounted mirror lamp that adjusts to mimic the astronomical event that inspired its name. The piece expresses a mix of reflection and transparence by sliding the adjustable lighting component. Their goal is to evoke the feeling of natural daylight through artificial lighting as the lamp transitions.